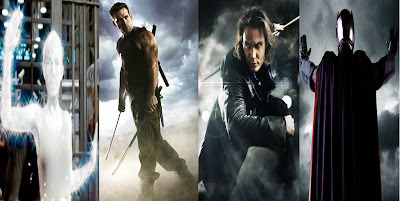 With the huge success of "X-Men Origins: Wolverine" at the box office, it is becomes much clearer that Fox and Marvel can begin to develop further spin-off's in the X-Men Universe. We all have our favorites, but who does Fox intend to bring our way next? Lauren Shuler Donner provided some insight to IESB on exactly who she'd like to see next get their own feature film. IESB hit the ground running and asked Shuler Donner if the execs have decided to go ahead with giving both Gambit and Deadpool their own spin-off's. Shuler Donner told IESB, "There are internal discussions about all that." What does that mean? Mrs. Donner expanded, "Were going to resolve it soon." Yeah she pretty much remains elusive to revealing anything. She did however say how much she loved Gambit and that he could also tie-in Storm (due to their on-going relationship). She said of Gambit, "He's such a rogue!" IESB later asked Laura Shuler Donner if she would like to bring Bryan Singer back to re-visit the X-Men franchise or any of the possible spin-off's. She replied, "Nothing would please me more than to bring Bryan [Singer] on for another movie. And, if it's like the first Deadpool or the first Gambit, I think, I mean, I hope he would be interested...you never know." Donner later added that it remains to be seen which spin-off would come first, but she said alot of it would factor on the readiness of the script's. Which brought up another rising question. What about the Magneto spin-off that supposedly has a completed script? Shuler Donner once again replied, "Internal discussions, were figuring it out." So while the jurt may be still out on exactly what to do with Gambit, Magneto and Deadpool, "X-Men: First Class" is moving steadily ahead. Shuler Donner was asked if the young mutants freed by Logan at the end of "X-Men Origins: Wolverine" would show up in "X-Men: First Class" Shuler Donner gave a few details about trying to make a cohesive match between the two films. "Once we staring editing [Wolverine], I had to go back and say, "You know what guys...here's what happens in our movie [X-Men: First Class] now, so we have to make sure it matches."" She continued to say, "So they may show up." Donner also added that Fox intends for "First Class" to be the first with definate sequels to follow expanding the X-Men mutant universe. Stop screwing around with spin-off's and make a freaking Apacolypse movie!